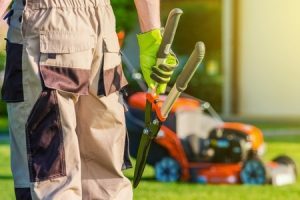 Businesses should hire professional landscapers in order to make their places look and feel more inviting to current and potential customers. Beauty sells. Just like clothing companies try and choose the most attractive models to don their clothing creations, businesses should strive to pick the right/best landscaper in their region to make their place look attractive to the people they want to attract. Imagine walking into a building where the lawns are nicely cut, the plants and flowers are cared for, and everything is “colorful and in order.” Now imagine walking into a building where no one has tended to the flower beds in years. There are weeds everywhere. Cracked sidewalks are surrounded by dead or dying trees of odd shapes and sizes. Not as inviting, right? How the exterior of your business looks says a lot about your business. A professional landscaper knows what kind of plants and trees grow well in a certain area. “Does this ornamental plant make sense for the D.C. area?” is something they’d know. Where should a bench be placed on the property so that people will use and enjoy it? How tall should that bench be? How long should it be? There are a million little details that go into creating an attractive and useful landscaped environment surrounding a business/building. Most business owners have neither the time nor the inclination to plan and build and maintain their own landscaping. That’s exactly why hiring a professional landscaping company makes sense. Plus, when “done right” the first time, expect the landscaping to last a long time. Amateurs make a lot of costly mistakes. “Oh, that plant died? We’ll have to replace it and we’ll try another species and see if it ‘sticks,’” is not what you want to hear. One of the best reasons to employ professionals is that they know what works and what doesn’t work, and they get the job done right the first time. And they– or a company they know– can maintain the landscaping even years later. In Maryland and the Greater D.C. region, choose to use Vista Pro for your business landscaping needs; use our contact page here.